Different types of scales will help you to prepare the right amount of your favourite substances to smoke, use or store. For smalles amounts, a portable digital scale is ideal. To prepare larger amounts or volumes, choose for a more robust table top model. For critical weights, you can opt for high precision digital scales. 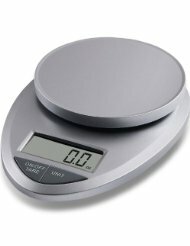 To always get the exact weight you're looking for, you should calibrate your scales accordingly.